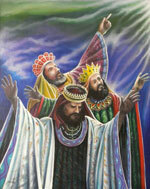 The Hispanic tradition of celebrating the Three King’s Day or El Día De Los Tres Reyes Magos, dating back as early as the 16th century, is strongly rooted in their deep faith and religious observance. It is celebrated twelve days after Christmas which falls on January 6th and is also referred to as “The Feast of the Epiphany.” As related in the 2nd chapter in the book of Mathew, the three kings, or Magi: Melchior, Gaspar, and Balthazar, visited Jesus after his birth bearing gifts of gold, frankincense, & myrrh. They were following a star that foretold the coming of a king that would save the world. Many Latin American countries and Hispanic communities throughout America still cherish this custom and perpetuate it by passing it on to their children. This celebration teaches them the history and the practice of their faith. It is a way to help them stay focused on what the season is really about. El Día del Niño is a celebration that originated in Mexico and dates back to 1925. It is now observed in many Latin American and other countries around the world. This observance recognizes the importance of children in society. 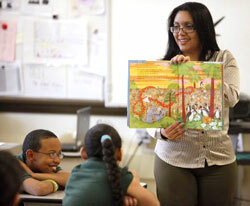 In 1997, the Day of the Child was linked with language and literacy as a way of supporting the well being of children. 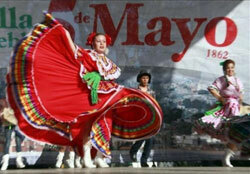 This holiday commemorates the victory of the Mexican militia over the French army at the Battle of Puebla in 1862. During the preceding period, Mexico had accumulated heavy debts to several nations, including Spain, England and France, who were demanding repayment. A similar debt to the U.S. had been previously settled after the Mexican-American War. France was eager to expand its empire at that time, and used the debt issue to move forward with its goals of establishing its own leadership in Mexico. Cinco de Mayo is primarily a regional holiday celebrated throughout the Mexican state of Puebla, and especially in the capital city of this state, also named Puebla. The holiday has limited recognition in other parts of Mexico, but is celebrated in many U.S. cities and particularly in those with a significant Mexican population. 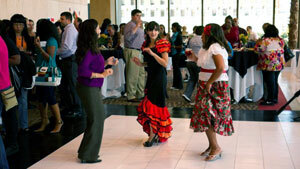 Each year between September 15 and October 15 the HHC, in collaboration with the arts and cultural groups of Buffalo and Erie County, will sponsor the Hispanic Heritage Month celebration This will include a variety of community activities and events that celebrate Hispanic heritage, history and culture. The Council will host an annual community breakfast to announce its plans for the coming year and to reflect on the previous year’s accomplishments. The event will feature a Hispanic leader as a guest speaker.